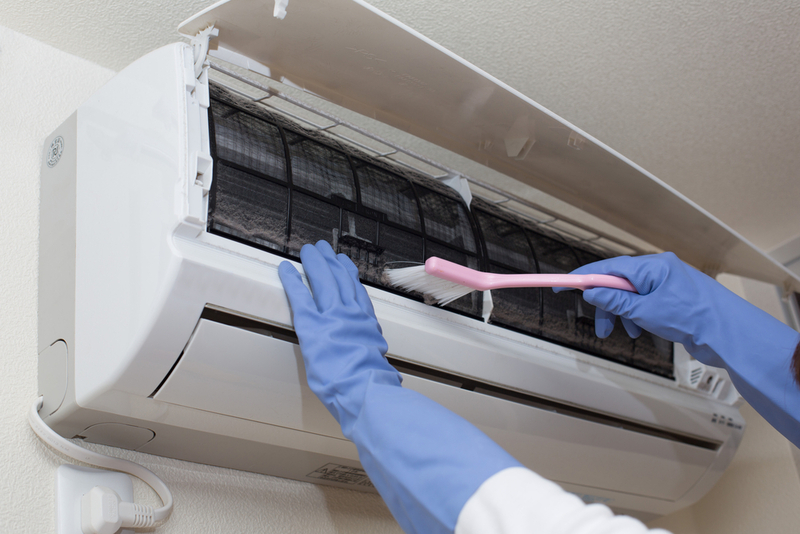 Cleaning your air conditioning systems should be at the top of your property maintenance checklist. Hiring professionals to clean the air conditioners once a year will not only extend the life of the unit, but it will also make the air conditioning unit more efficient with constant airflow. Proper maintenance and regular cleaning of the air conditioning unit also brings about a lot of health benefits and also saves you money by lowering the energy bills. Top End Chill Air Conditioning specializes in commercial and residential air conditioning duct cleaning, air odour control and duct sterilization. Our air conditioning cleaning in Darwin makes sure that your air conditioner functions efficiently with dramatically increased cooling and airflow. Cleaning your air conditioner on a regular basis will improve its efficiency by lowering the pressure due to the large accumulation of dust, debris and mold on your air conditioning unit. Over the course of time, the air filters get clogged due to the build-up of dust and debris. Dirty and clogged air filters hamper the normal airflow and your air conditioning unit has to work harder than it should. A dirty and dust covered evaporator coil fails to absorb heat properly and this further lowers the efficiency of your air conditioning unit. At Top End Chill Air Conditioning, our air conditioning cleaning experts break down built-up grime, mold and dirt before cleaning them to increase the efficiency of your unit. It is known to all and sundry that a significant portion of your monthly electrical consumption is due to the cooling systems that you have installed in your property. To make the situation worse, a dirty air conditioning unit consumes more power because it needs to work harder to maintain the same level of cooling and airflow. If air conditioners are not cleaned at least once a year, they consume five to ten per cent more electricity. However, by hiring our air conditioning cleaning experts, you can increase your unit’s efficiency and thus save some dollars on your energy bills. Not cleaning your air conditioning unit for a longer period of time could lead to serious problems including complete breakdown and failure. Due to the large accumulation of dust and debris over the course of time, several components and parts could run out of order. A dirty air conditioner becomes prone to overheating with the evaporator coils not dissipating heat properly. In certain cases, a large amount of dirt on the units also triggers ice build ups. To avoid such problems you need to need to hire Top End Chill Air Conditioning for highly effective air conditioning cleaning in Darwin. Our team will not only deep clean your units but also detect problems that could occur in the future. This will help you to avoid expensive repairs or full unit replacement. Dirty air conditioning units become the breeding ground for germs, mold and bacteria which can take a toll on your health. Your air conditioning unit does more than just cooling your house. It also regulates the circulation of pure, fresh and healthy air inside your house. Every time you switch on your dirty air conditioning unit, mold spores, fungi, bacteria and germs get blown to the rooms and this could lead to serious health conditions like asthma attacks, allergies, hay fever, fatigue and sore dry eyes. To improve the indoor air quality, you need to hire professionals like us as we clean your units with the utmost precision and care. By hiring Top End Chill’s air conditioning cleaning service in Darwin, you will not only stay healthier but also save a lot of money, as the units will run more efficiently with improved airflow and cooling performance.